Nha Trang is endowed by nature with deep, quiet and warm waters all the year round, surrounded by archipelagoes, islands, mountains and white sand beaches - a wonderful and attractive tourist resort. - Wards: Vinh Hoa, Vinh Hai, Vinh Phuoc, Vinh Tho, Ngoc Hiep, Van Thang, Phuong Son, Xuong Huan, Van Thanh, Phuong Sai, Phuoc Tan, Phuoc Tien, Phuoc Hai, Phuoc Long, Loc Tho, Phuoc Hoa, Tan Lap, Vinh Nguyen, Vinh Truong. Hon Tre Island is 36km? 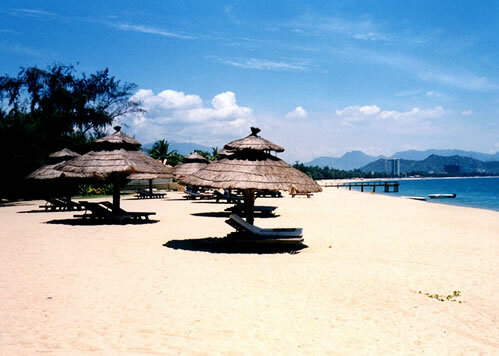 and belongs to a group of islands located southwest of Nha Trang. It takes two hours to reach Hon Tre Island by rowboat and only 20 minutes by ferry.